It's a Tasha thing: Mystery Blogger Award! 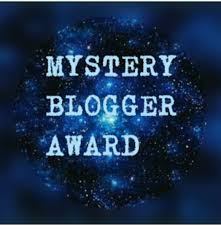 I have been nominated for the Mystery Blogger Award by the Lovey Steph from Steph's World. This tag was created by Okoto Enigma. Notify each nominee by commenting on their blog. If you could live in any other country, where would you live? How long have you been blogging, and do you see yourself still blogging in 5 years time? I've been blogging for about 8 months now and right now I definitely see myself blogging in 5 years time! What are your favourite blogposts to write? I like writing all sorts of blog posts. I especially like doing tag posts as I find it fun to answer others questions but I also like doing haul posts and reviews. Funny question – If you could live with any wild animal, what which one would you like to live with and why? I would probably live with a Lion or Tiger. Imagine how protected you would feel. If you could live in a film or book for a day what would it be and why? Who's blogs would you recommend to read or YouTube channels to watch and why? What is the worst habit someone could have and why? Funny question- What is a saying you say a lot? My favourite post I think has to be my labour story. See my last post here. I really like these kind of posts! I would love to live in america! But I can never decide where abouts haha! It would definitely be a hard decision! Love this tag! I agree, I love a variety of blog posts - I can't quite focus on one niche just yet, Idk how people can write solely about fashion, music, or food, etc.. I hope I can focus in more in the future but for now I love variety! Woo, yeah America! I'd love to live in California, yet, I have never been so I may hate it haha. Do you have an ideal location in America in mind? I also would really like to go to America, it looks like an awesome place for a holiday! Thanks for sharing. This is a fun post! Thanks for sharing!